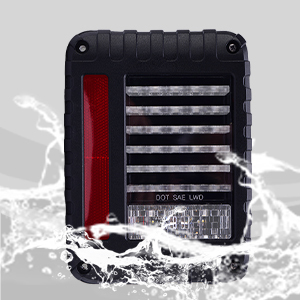 Faster on/off response time, striking Warning effect to enhance driving safety. Voltage:DC12-24V;Plug and play, no extra wiring required, professional installation is highly recommended. Fit: 2007-2017 Jeep wrangler jk JKU Rubicon Hard Rock Rugged Ridge Wrangler Unlimited Sahara Edition Big Bear Edition. 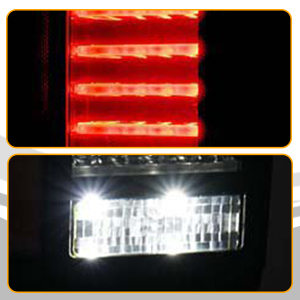 2pcs Jeep Wrangler Led Tail Lights. 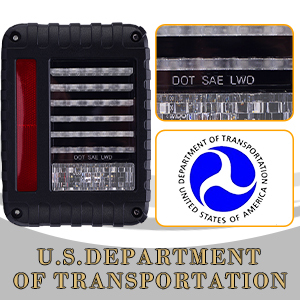 Led Tail Lights fit for 2007 to 2017 Jeep Wrangler JK JKU,can be used as turn signal light,brake light,back up reverse light and running light. ​Plug and play, no extra wiring required, professional installation is highly recommended. Please make sure the item fits for your vehicle before you purchase! 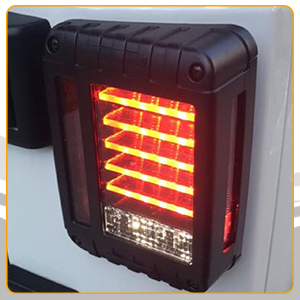 Package Included:Pair of Tail Lights for Jeep Wrangler.SaberX is committed to providing each customer with the highest standard. Lamp boday is faster radisting for aluminum, high temperature resistance, beauty exterior.